Welcome to Traditional Jujutsu - Historical Overview..!! Jujutsu History and System Guide Introduction: Let's say that you were a Samurai during medieval times in Japan. I know, big stretch, right? Still, if you were, you would need to know how to use a sword. But what if you didn't have that sword with you and the attack came from someone with one? After all, swords can be knocked from one's hand. What would you do then? In other words, you would stop that sword strike from coming and throw your adversary, pin them, or use a joint lock/choke hold. By the way, the Samurai used to play for keeps. In other words, they often practiced moves designed to kill their opponents. Japanese old style jujutsu or Nihon koryu jujutsu was developed and practiced during the Muromachi period in Japan between 1333-1573. This old style of martial arts training was focused on teaching the unarmed or very lightly armed warrior to fight a heavily armed warrior. This eventually led to a significant amount of grappling, throwing, restraining, and weaponry skills being taught to Samurai, the most effective of which depended on the particular situation. The term jujutsu began to take hold in the 17th century. At the time, it really described all of the grappling related disciplines in Japan being used and taught by the samurai. Jujutsu translates to the "art of softness," or "way of yielding," which reinforces the notion that it is an art that uses an attacker's aggressiveness and momentum against them. Eventually, jujutsu morphed, changing with the times to the Nihon jujutsu seen more today. 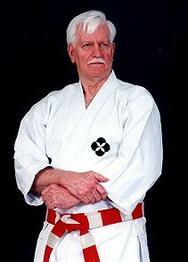 Generally, this more contemporary style is often termed Edo jūjutsu, since it was founded during the Edo period. The striking in these styles would be less effective against armor, for example, since no one is really wearing armor these days. However, it would be more appropriate against a plain-clothed person. The early goal of jujutsu is simple. Practitioners hope to disable, disarm, or even kill opponents, depending on the situation, by using their own aggressiveness against them.